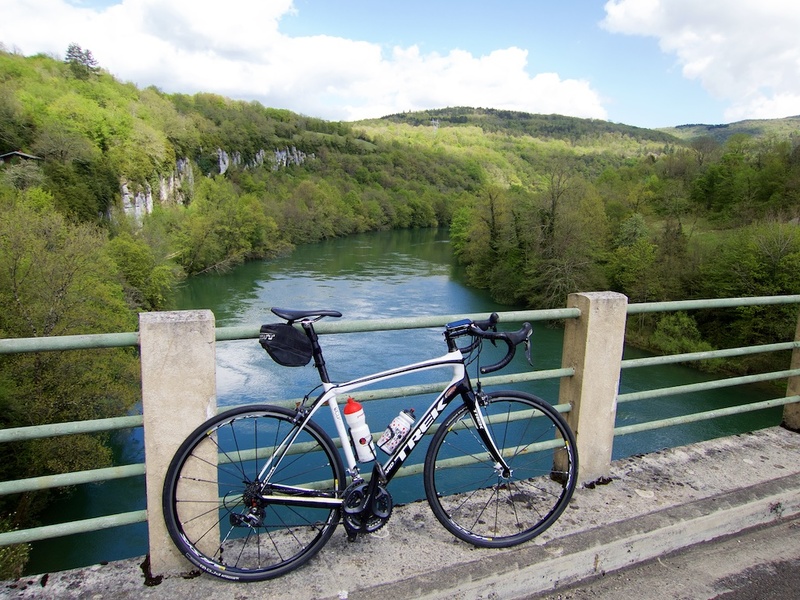 A couple of weeks ago, while shameless Col Hunting in the Jura mountains, my route briefly entered Les Gorges de l’Ain. I decided to return to more thoroughly explore the gorge. 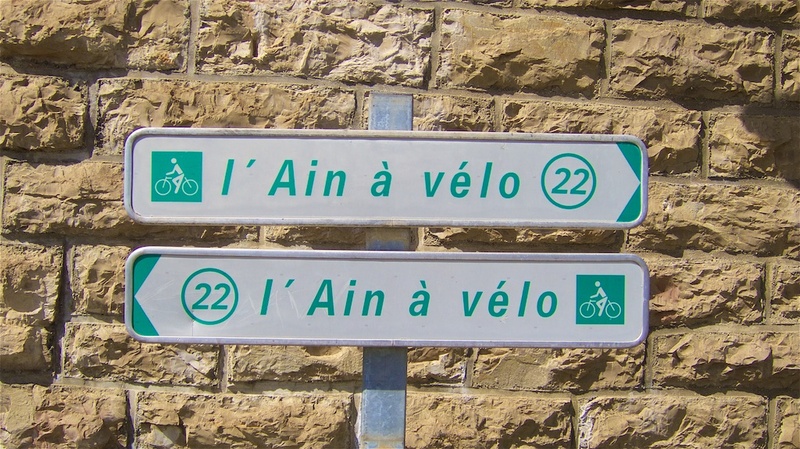 This route generally follows Route 22 of the official l’Ain cycling route network. 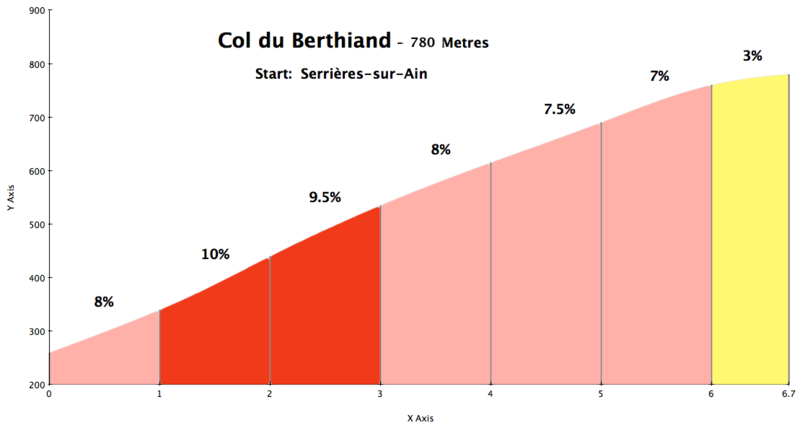 The only real difficulty was when I deviated from route 22 to climb Col du Berthiand – see map below. Berthiand will appear early in stage 15 of the 2016 Tour de France. It’s less than 7 kms long, but surprisingly steep in places. Note, I started below the big bridge that the Tour will cross. 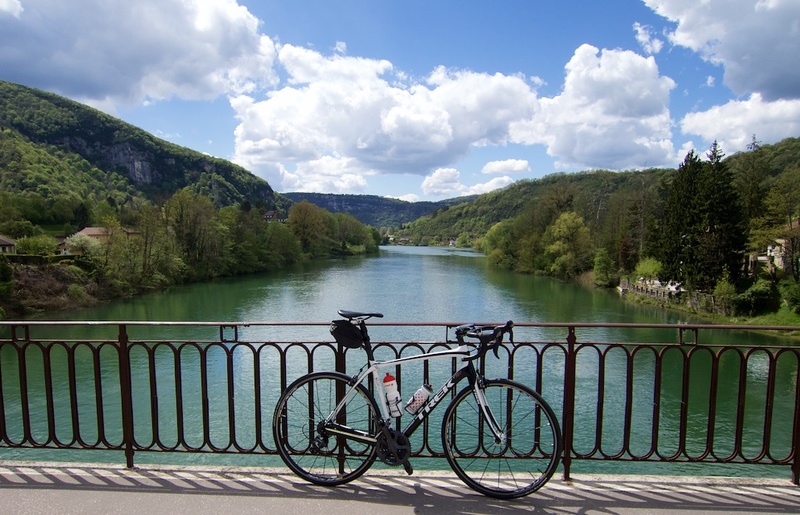 You can order little brochures for all 33 cycling routes in l’Ain from the official tourist web site here. They include map, profile, key sites, etc. Route info and GPX files also available for download. From Col du Berthiand, I turned back as I wanted to maximize my time beside the river in the gorge. The majority of the route is on quiet roads. It’s just very pleasant, scenic cycling. The very northern tip of the route briefly leaved the department of l’Ain and enters Jura department. Briefly in Jura Department. Northern edge of route. 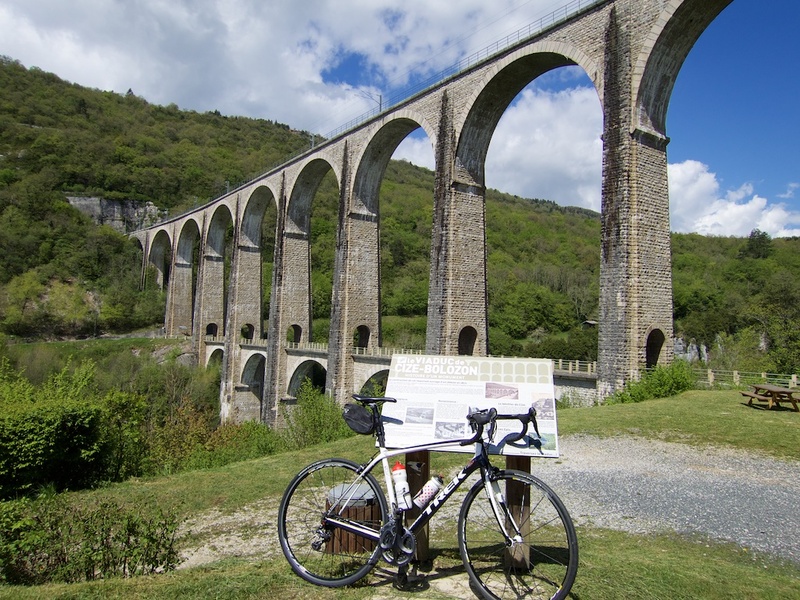 I would twice cross the Viaduc de Cize-Bolozon. Built in the 1870s, it was destroyed by the French Resistance during World War 2, but then completely rebuilt. The high-speed train (TGV) uses the top of the Viaduc, lower down is the road. I now understand the confusing route sign that I saw on my last visit. Basically, the first time one crosses the viaduc, the route goes right making a northern loop along both sides of the river. 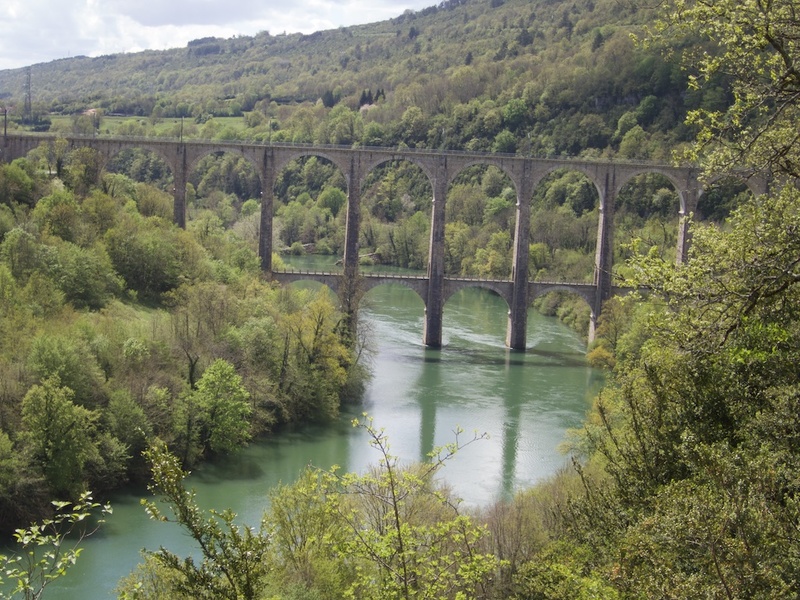 It then recrosses the viaduc and the route heads left, returning south. But again, the route is not perfectly signed. You can easily get lost without a map or gpx/gps. 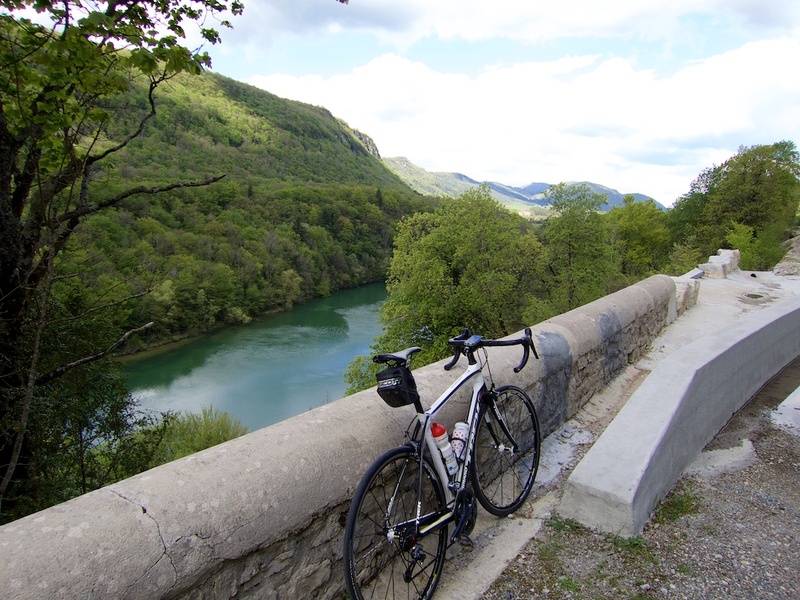 While no-where near as spectacular as my recent “gorges rides” – Verdon and Ardèches – this is very nice cycling. 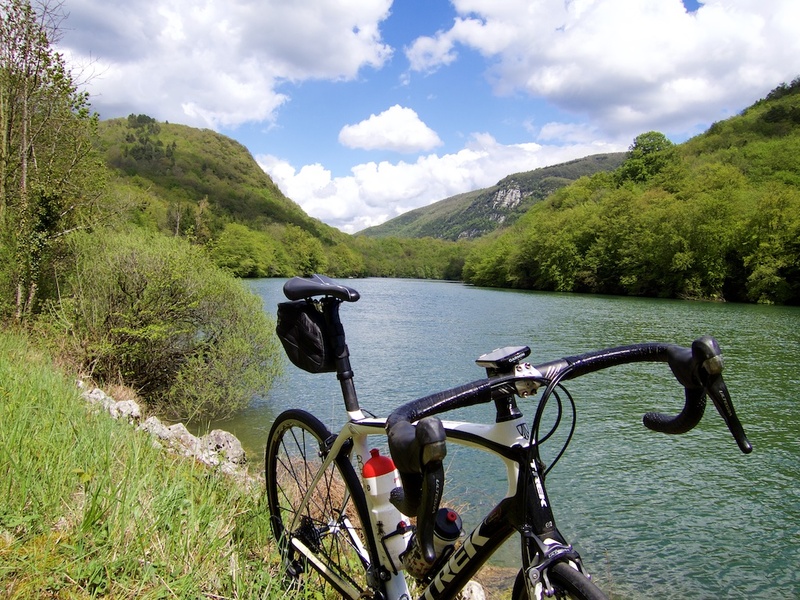 Also, one could exclude the detour to Col du Berthiand and have a relatively flat route, just enjoying the river views.